It's not too late to add to your summer reading pile - here are a few more! 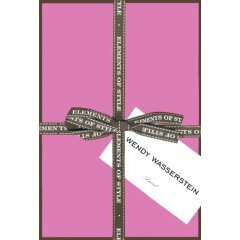 Elements of Style by Wendy Wasserstein. While Ms. Wasserstein, the fabulous playright and author, sadly passed earlier this year she left us with this smart and enjoyable read - just her style! 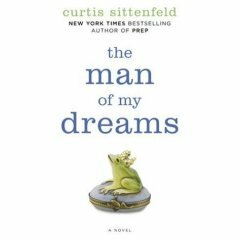 The Man of My Dreams by Curtis Sittenfeld was an unexpected treat. Unexpected only because after reading a couple of essays by Ms. Sittenfeld I had already formed an opinion that I didn't want to read her stuff. Glad I got over that - this book was well worth it! Fortunate To Have Found This One!